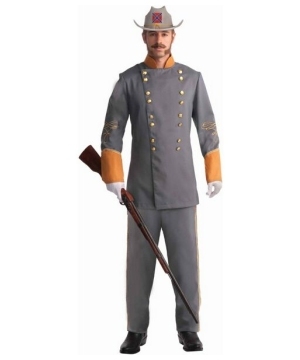 Includes a grey jacket with ocher sleeves and gold buttons, a pair of matching pants and a hat with the Confederate flag. 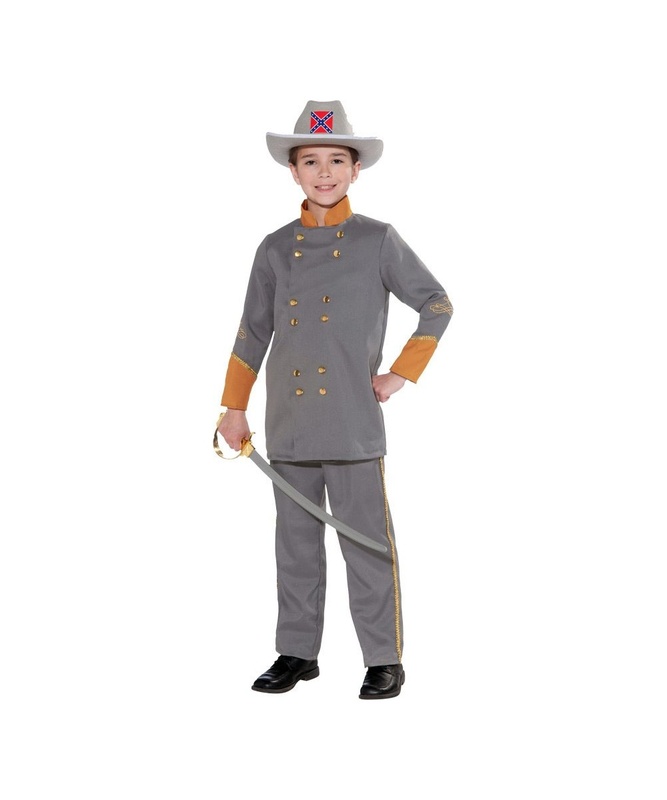 Confederate Officer Kids Costume includes a grey jacket with ocher sleeves and gold buttons, a pair of matching pants and a hat with the Confederate flag. 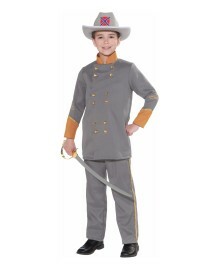 This awesome Historic Costume for boys is available in kids size Medium (8-10). You&apos;ll be ready to win all the battles! 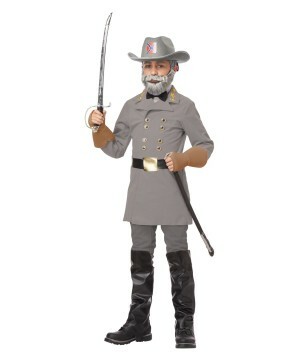 Please note shoes and sword are not included.